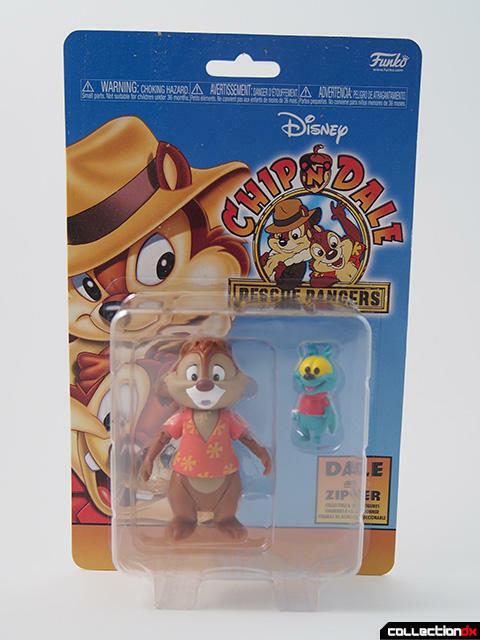 In 1988, Dale found new life as part of Chip 'n Dale" Rescue Rangers, part of Disney's TV cartoon offerings. They were basically pint-sized detectives, who investigated crimes too small for regular police. 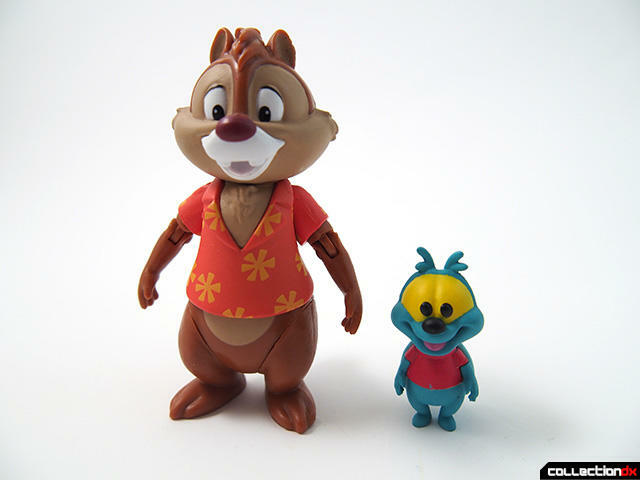 Funko released both Chip and Dale as part of their Disney Afternoon series, a tribute to the classic cartoons. 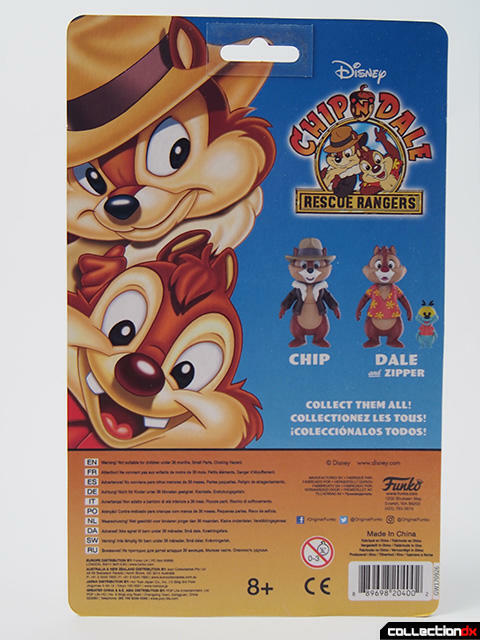 But these are not just nostalgia products, these feel like actual toys that should have been out when the show was on the air. The backer cards are great, with bright graphics and firm card stock. 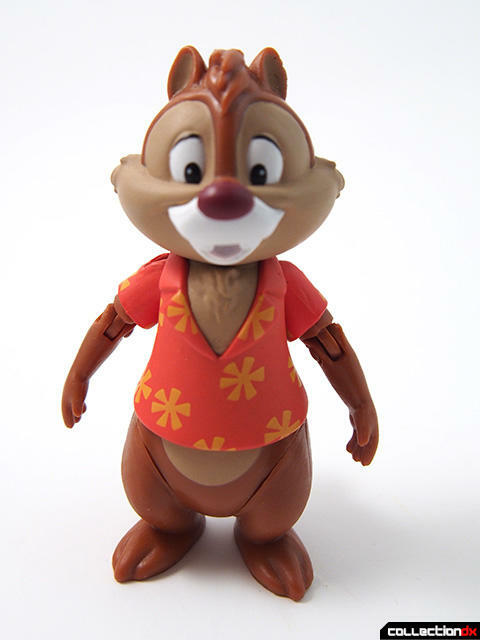 Dale has sort of a "Magnum PI without pants" thing going on. It's best not to think about why none of these guys ever wear pants. 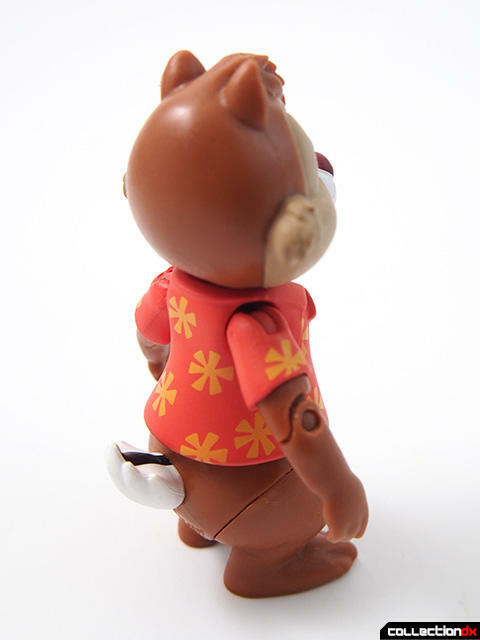 8 Points of articulation again (hips, waist, shoulders, elbows, neck), and in this case the waist joint is hidden so the shirt nicely overlaps the body. The paint on this is great. Just check out the tail. 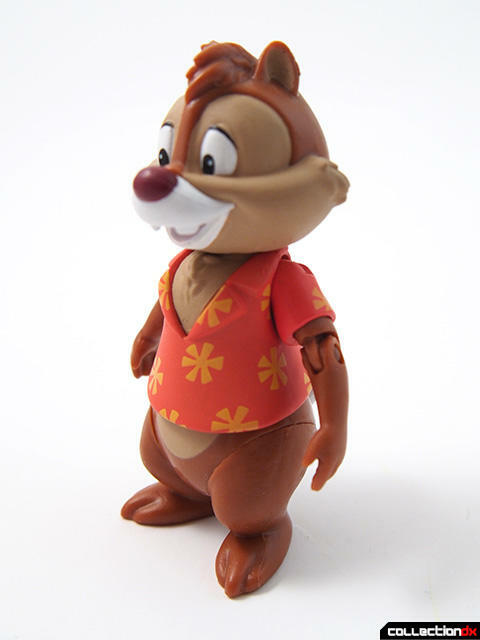 He comes packaged with Zipper, who has as many paint applications as Dale does, but on a much smaller scale. 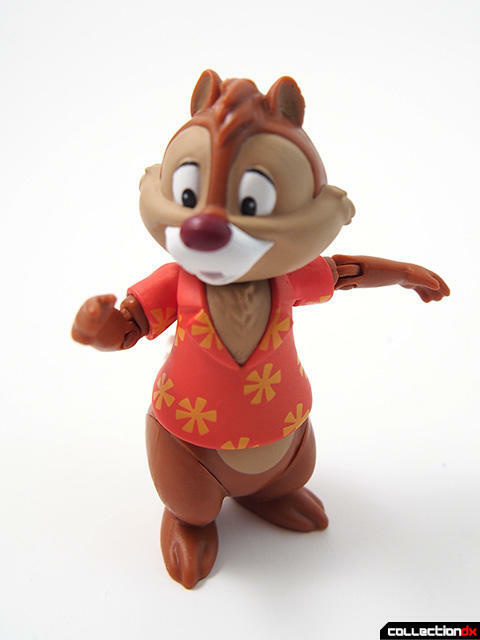 Zipper has no points of articulation. 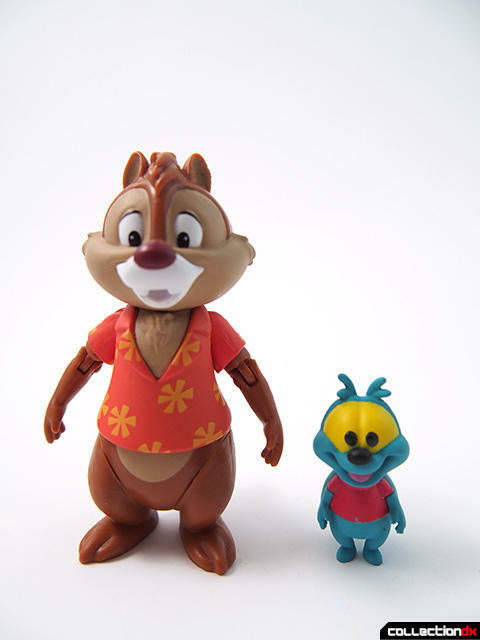 And of course you cannot have Dale without Chip! 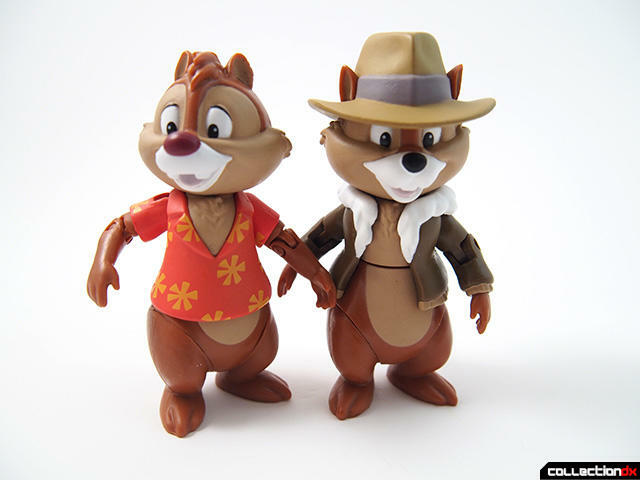 Once they release Gadget they will break the internet.